The CBO raw data encompass income, taxes, and after-tax income during 1979-2007 segregated by income categories: top 1%, 5%, 10%, 20%, and the four bottom quintiles. The CBPP compiled chartes comparing the top 1% with the highest, middle, and bottom fifths. The plotted lines show the top 1% enjoyed an increase of 281% in after-tax income during 1979-2007, while the other three quintiles recorded 95%, 25%, and 16% respectively. It is instructive to break down the years into presidential administrations. During the Reagan years (1981-88), the after-tax income of the top 1% rose from 9.1% to 13.3%. This can be attributed in part to tax-rate reductions. During Bush 41 (1989-1992), the share was largely unchanged from 12.5% to 12.3%. Could this be due to Bush’s 1991 increase in the top marginal rate from 28% to 31%, reversing Reagan’s top 28% rate? The Clinton years (1993-2000) are mysterious. The top 1% experienced an increase in after-tax income from 11.9% to 17.8%. This is a whopping 49.6%. This occurred despite the addition of two higher rates of 36% and 39.6% added to personal income taxes. Does this means that higher tax rates worsened (from an egalitarian point of view) the income distribution? Or that the tax rates were not high enough? Or that other factors worsened the distribution, such as the dot.com boom that paid a premium to entrepreneurship and high-tech training? Bush 43 (2001-09) inherited the dot.com bust, which reduced the share of after-tax income of the top 1% to 14.7%, a significant decline. That share remained stagnant until 2004, thence rising sharply to 19.4% in 2007, somewhat above the Clinton peak. This rise reflects gains in Wall Street more than the Bush tax cuts. In several years the CBO will release results for 2008-09, indicating if the financial crisis reduced the share accruing to the top 1%. To summarize: A 28-year chart comparing the first and last years hides more than it discloses, especially if the intent is to attribute the gap to tax-rate reductions, an argument intended to buttress the call for higher tax rates on the wealthy. In that regard, the Clinton years of higher tax rates on the rich look as bad as those of Bush 43. The G20 meeting in Toronto concluded with the vast majority of participants choosing deficit reduction over more stimulus spending. David Cameron argued that downgrading Britain’s sovereign debt would have worse consequences than an economic slowdown. In a major move before the last general election in Germany on September 27, 2009, its parliament adopted a balanced budget constitution amendment that makes it illegal to run a federal deficit greater than 0.35% of GDP by 2016 and any deficit at all in the several German states by 2020. Britain transferred sovereignty over Hong Kong to China on July 1, 1997, and Portugal over Macao on December 20, 1999. Each was designated a Special Administrative Region of China and given a Basic Law, a mini-constitution, enacted by China’s National People’s Congress. Hong Kong and Macau have recorded sustained high growth during their post-colonial years and have accummulated substantial budget surpluses. On June 22, 2010, Britain’s Chancellor of the Exchequer George Osborne spelled out his plans to preserve the credibility of Britain’s sovereign debt, to prevent Britain from becoming the next Greece. Through a mixture of 77% spending cuts and 23% tax increases, Osborne proposed to reduce the budget deficit from £149 billion this year, 10.1% of GDP, to £20 billion in fiscal year 2015-16, 1.1% of GDP. Moreover, these projections rests upon the reports of an independent non-partisan Office for Budget Responsibility, not those of his own Treasury department. Citing evidence from the IMF, the OECD, and other international studies, Osborne stressed that lower spending was more effective than tax increases in reducing deficits. A further reason to emphasis spending reductions is to lower the share of national income consumed by the government rom 51% of GDP to a more sustainable level by increasing the share of ntional income spent by the private sector. How to do it? The government will sustain capital spending to modernize Britain’s infrastructure. Civil servants will have their pay frozen for two years, save one million at the lowest pay grade. Full retirement age will be raised from 65 to 66. The civil list, which provides state support for the royal family, will be frozen. Apart from providing the National Health Service with real increases, other government departments will face an average real cut of around 25% over four years, a stunning reduction. Welfare spending, which rose 45% in real terms during the past ten years, will be reduced by cutting or eliminating a number of grants and subsidies. Several increases in taxation round out the proposed five-year plan. They include an increase in VAT from 17.5% to 20%, an increase in capital gains taxation from 18% to 28% for upper-income taxpayers, and a bank levy to raise £2 billion. Lower-income taxpayers will receive an increase in tax-free allowance, and retirees will have their benefits adjusted by earnings, rather than inflation. Peter Orszag has announced that he will step down from his post as head of the Office of Management and Budget in July. I suggest his interim or permanent successor carefully study Osborne’s plan and apply its spending cuts to sharply reduce the U.S. deficit over the next five years, instead of maintaining them at trillion dollar levels over next decade. Over the weekend, China announced a change in monetary policy, from maintaining a fixed exchange rate to the dollar at 6.82 yuan to a policy that allows the yuan to appreciate against the dollar. Estimates of appreciation in 2010 range between 3-5% and more in subsequent years. As the yuan strengthens against the dollar, Chinese purchasing power of dollar-denominated goods will rise, improving the competitiveness of U.S. goods and services in China. It is hoped that this will preserve and increase jobs in the U.S.
A stronger yuan raises the prices of Chinese imports into the U.S., which should reduce demand. More exports to and fewer imports from China, if this scenario materializes, will reduce the large trade imbalance in China’s favor. Yuan appreciation also helps Obama in the short run. Each stronger Chinese yuan can buy more dollars, thus facilitating China’s purchases of U.S. treasuries. In so doing, China can help finance Obama’s budget deficits and hold down U.S. interest rates. Over the long run, the story could have a less happy ending. During the past decade, homeowners were helped by low interest rates but were foreclosed when rates rose. As China accumulates more U.S. debt, the day will come when its large holdings will give it substantial influence over U.S. domestic and foreign policy with the threat of national foreclosure. Fortunately for Obama, his one or two terms as president will be over and his successor(s) will have his problem on their hands. Jerry Brown, the Democrat candidate for California governor, has been in politics a long time, having served as governor, mayor of Oakland, attorney general, and son of former governor Pat Brown. He's been called governor "moonbeam" and other names. But he is no lightweight, and as of this post, is favored in both the polls and on intrade.com to become governor again. What is his good idea? He expressed it during his 1992 run for the Democrat presidential nomination and in the photo taken in the mock oval office in the Ronald Reagan Presidential Museum. Belgium was founded in 1830 when Flemish speakers in the North (Flanders) joined with French speakers in the South (Wallonia) to cast off Dutch rule. Ethnically-based political parties, Flemings vs. Walloons, have dominated the political arena. Political reforms that have decentralized fiscal and economic policy have not curtailed the increasing salience of language in dictating political outcomes. The historical background is laid out in my book, Politics in Plural Societies. An election held on June 13, 2010, pitted Flemings and Walloons against each other. This time the largest Flemish party is seeking reconstitution of Belgium that would confer the transfer of sovereignty to Flanders as a separate country and member of the European Union. If that were to happen, the remaining segment, Wallonia, would become a much smaller and must less wealthy, exclusively French speaking country. Having lived together peacefully for 180 years, irreconcilable differences may split one country into two, each more homogenous in its population, much as Czechoslovakia was peacefully divided into the Czech Republic and Slovakia in January 1993, a few years after the fall of the Soviet Empire. Those holding out hope for a stable democratic Iraq after the full withdrawal of U.S. combat troops in 2011 may be overly optimistic. China’s economy quadrupled in size between 2010 and 2025, surpassing the U.S. and EU. China continues to grow at 9-10% per annum, compared with 3% in the U.S. and 2% in the EU. Global Renminbi business has surpassed dollar denominated business. The STE leads the world in total market capitalization. The STE leads the world in equity, debt, futures, options, and every other financial instrument. The STE leads the world in turnover. The STE leads the world in IPOs. During the second week of June 2010, ethnic violence broke out in southern Kyrgyzstan. Kyrgyz gangs sought out ethnic Uzbeks, burning their homes, killing more than a hundred, wounding a thousand, and forcing 75,000 Uzbeks to flee in search of safety near the neighboring border of Uzbekistan. After rioting forced out former president Kurmanbek S. Bakiyev in April, his supporters have clashed with those of the interim government headed by Roza Otunbayeva, the country’s acting president. She has asked Russia for help to quell the disturbances, but Russia had not responded as of late Sunday, June 13, 2010. You can read more here. The main point is that a single match can start an ethnic prairie fire. The hundreds of centers for the study of women and gender on college campuses have their work cut out for them. One Tuesdays, in our role as grandparents, TBW (the beautiful wife) and I spend the day with Little Julia (almost four) and her older brother Hunter (almost six). Palo Alto is a children’s paradise, with museums, a zoo, and wonderful playgrounds. On Tuesday morning we often spend the first hour in the museum followed with an hour in the park. On May 8, 2010, I did a head count in both locations. Inside were four men (three grandfathers including me) and one father (or male partner), as against with twenty-five women, of whom some four or five were Spanish-speaking nannies. Outside the ratio was slightly different, two men and about thirty women, of whom seven-eight were nannies. The data for May 8 is roughly in line with a typical Tuesday. From observation, most mommies appeared to be in their thirties. I took the liberty of asking a few about the overwhelming presence of women over men with all the little kiddies. The replies indicated that steeply graduated personal income taxes, paying federal and state income taxes at their spouse’s top marginal rate, Social Security and Medicare taxes, day care, and substitute house and yard maintenance costs vitiated any financial benefit of a second income. Some also wanted to spend time at home with their little ones, having postponed starting a family until their thirties. Backed with money from big oil and big coal, Obama’s opponents launched a major campaign to block his green initiative immediately after his inauguration. In response, Obama’s advisers encouraged him to pull a ploy from Reagan’s playbook by going directly to the people over the heads of special interests and Congress. Obama was dressed in a light green uniform. Two students stood by his side wearing similar light green uniforms adorned with dark green armbands and scarves. Obama encouraged his youthful supporters to travel throughout the fifty states to spread the green message, educating Americans about the benefits of green energy to prevent future environmental catastrophes. To provide the students with material to promote the newly proclaimed “Great Environmental Cultural Revolution,” millions of little green books were printed with quotations about the dangers of global warming, environmental catastrophes, and further dependence on energy imports. This would be the moment when American turned green and secured energy independence. Student leaders proclaimed themselves “Green Guards.” They urged outing opponents of green energy, parading them in dunce caps, and forcing them to confess to excessive consumption of fossil fuels. Green reeducation seminars would be established around the country. If all went according to plan, Congress would enact Obama’s green agenda. Turning the country upside down for two years would be a small price to pay to save the planet. Thereafter the Green Guards would return to school to complete their educations, knowing they had preserved the environment for future generations. With passage of time and more experience, it has become increasingly difficult to respect Members of Congress. In the course of my career (I have enjoyed the opportunity to travel all over the world and lecture and/or advise on the flat tax), I have happened to be in a foreign country at the same time as a Congressional delegation ostensibly engaging in a fact-finding mission of some sort. Known as Congdels, or in less flattering language Congressional “junkets,” most include members’ spouses or traveling companions, most are several days long with a morning or no more than a day of “inquiry,” most schedule extra time for sport or sightseeing (invariably in good weather, often with beaches), and tie up the time of embassy personnel who do their best to show the visiting delegation a good time. Fact-finding missions being an integral part of Congressional inquiry are, needless to say, paid for with taxpayers’ funds. The nation’s fifty governors also know how to mix business and pleasure. To accommodate a growing number of supporters and donors, the Hoover Institution switched its venue for the annual winter meeting of the Board of Overseers from the Madison Hotel to the historic Willard Hotel in Washington, D.C. Several meetings coincided with the annual governors’ meeting in Washington, which provided an opportunity to observe the social sidelights of the gathering. Among the activities were lavish dinners and dancing in the best restaurants, while staff aides ate nearby in less lavish settings. Meetings typically include a visit to the White House for a photo-op. The replacement of political sunshine with adark clouds has little to do with partisanship, personality, region, or narrow interest group agenda. J’accuse applies equally to all, including the executive branch of government. Political reality will be the subject of a subsequent series of posts, itemizing several dozen norms and behaviors of a broken system of government,. They will explain why Americans have such a low approval rating of the federal government with its numerous branches, committees, and agencies. As it is all too easy to cast brickbats at public institutions and office holders, I will set forth a reform agenda that resurrects the institutions and operations of our government to serve the people, not itself. Many will find these proposals utopian, with little likelihood of coming into being. But Joseph Schumpeter’s three stages of knowledge has been illustrated with wacky ideas when first proposed becoming common sense once they had gain public currency. The flat tax remained a hot issue through June 1986, when President Reagan’s Tax Reform Act of 1986, with two rates of 15% and 28% (instead of the flat 19% rate we proposed) was enacted into law. Bob and I testified singly and jointly at other Congressional hearings. One was held by the House Ways and Means Committee under the chairmanship of Dan Rostenkowski. The hearing scheduled two panels, the first of Congressman Jack Kemp who presented the Kemp-Kasten bill, and the second of four academics including me. Kemp began by praising all the committee members, and each of them praised him in turn when making opening statements and asking questions. The panel was a lovefest, not an exchange of views on tax reform. Kemp’s panel went well over the scheduled time. When it finished and we four academics were seated at the table with name cards and cups of ice water, the chairman stated that we only had fifteen minutes in all to make our statements, He assured us, however, that our full statements would be read into the Congressional Record and that we would have the opportunity to answer in writing any questions asked by committee members. Virtually no committee member remained in the room to hear our condensed remarks or discuss any of our proposals for tax reform, nor did any follow up with questions. More disillusionment. Shortly thereafter the Senate Finance Committee held hearings on tax reform. My nemesis, Bill Bradley, again took the flat tax to task. He misquoted several sections in the book Hall and I had written. I asked for a chance to respond to clear up the misinterpretation. His reply was a resounding “NO.” That was that. I presented written testimony at several other hearings convened by related subcommittees of the Congress, all of which were faithfully reprinted in the Congressional records. But as I had come to appreciate, the hearings were more about the partisan views of Members of Congress, rather than learning experiences that would enable them to craft good legislation. Congressional hearings, at least those involving federal taxes, are show trials to benefit Members of Congress. Insofar as discussing the central or finer points of the flat tax or tax reform more generally, the Congressional hearings I witnessed first hand were largely charades, exercises in Kabuki theater. By happenstance, I gradually shifted my interest from comparative and ethnic politics to public policy, with foci on aging, housing, and the elderly. The change took place through my participation in several projects for a Washington, D.C. consulting firm (a “beltway bandit,” TransCentury Corporation), that did evaluations of government programs. The projects addressed problems confronting elderly homeowners, public housing, and aging Americans. Each of these were subsequently published: Old Folks at Home, The Urban Elderly Poor, How Tenants See Public Housing. Although most government contracts are open to bidding, I learned that many government contracts were “wired,” that is, given to individuals and firms with connections to an administration or member(s) of Congress, rather than to authors of the best research proposal. 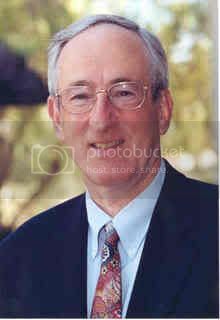 Having spent a year as a visiting fellow (1971-72) at the Hoover Institution at Stanford University, I secured a permanent appointment in 1976. Then a small group of about a dozen resident senior fellows (senior fellows are equivalent to the rank of full professor) thought, wrote, and promoted domestic and foreign policy issues addressed at the federal government in Washington, D.C. The nomination of Ronald Reagan thrust me front and center into the tax policy debate; I was writing a book on the causes and consequences of Proposition 13 (adopted June 6, 1978). I participated in a task force with other distinguished tax experts charged with composing a tax-cutting and reform agenda for Reagan. The proposal we crafted, in my opinion, did not go far enough. Through another happenstance, I teamed up with Robert E. Hall (a truly distinguished economist) to rewrite the U.S. income tax code. We published a synopsis, the Hall-Rabushka flat tax, in the December 10, 1981, issue of the Wall Street Journal. Eight months later, on July 27, 1982 (Congressional Record link), Bruce Bartlett, congressional aide to the Joint Economic Committee, scheduled the first Congressional hearing on the flat tax. Bob and I carefully prepared our testimony, with a giant replica of our postcard-sized flat-tax form. We made our presentation to members of the JEC, which included prominent professional basketball star, Bill Bradley of new Jersey. After we completed our testimony, Bradley entered the room and took his seat on the dais. He railed into the flat tax with well-lit media cameras recording his inquisition. Many of his statements were downright wrong while others distorted the flat tax. It was our turn to reply. As we began to speak, the floodlights were turned off and Senator Bradley left the room. He had not come to the hearing to discuss the pros and cons of the flat tax. Rather, he came to state his opposition to the cameras and charge its authors with “crimes” against taxpayers. I regarded his behavior as unforgivable, insensitive, and boorish. Disillusionment squared. This post and four that follow are largely autobiographical. They are intended to supplement the textbook world of political science with illustrations of political reality. If economics is the dismal science, the study of political science and government is disillusionment. Freshly-armed with a Ph.D. in Political Science from Washington University in St. Louis, I set out in August 1968 for my first academic job at the University of Rochester in upstate New York. A degree in Political Science signifies an interest in politics and, in most cases, some conviction about what Aristotle called the “good.” For Aristotle, the good and ethics were inextricably interlinked. The study of politics involves citizenship, democracy, rights and responsibilities, tradeoffs, and many other related topics. Those of us educated during the Vietnam War, new assistant professors of political science, leaned left. We tended to favor government intervention to solve social and economic problems, but disparaged the misbegotten war in Vietnam. Politicians were to be seen as role models, virtuous leaders engaged in public service rather than for-profit enterprise. After all, Veritas, Lux et Veritas, Veritas et Virtus, Meliora, Leges Sin Moribus Vanae, Vox Clamantis in Deserto, and Die Luft der Freiheit Weht, among others, constituted the mottos of universities and colleges. Our family planning coincided with my ability to earn a living. Accordingly our first child, handsome fellow that he was and is, was born in January 1969. This meant that we had to plan for a trip back to St. Louis to introduce him to his American grandparents (the other set was living in Sydney, Australia). It was our custom as we drove from one part of the country to another to take in some sights, especially those dealing with American history, During this trip we visited Gettysburg, Harpers Ferry, and Harrisburg Pennsylvania to see the magnificent State Capitol dedicated in 1906. June 15 is the due date for the second estimated tax payment. For those who pay estimated tax, which will increase next year as some of the Bush tax cuts expire and other taxes take effect, here is a song to cheer you up. That I’ve never paid before. Third is the roses that grow in the [government’s] lane. It’s the fourth payment I adore. Tom Campbell is seeking the Republican nomination for the California U.S. Senate seat held by Democrat Barbara Boxer in the June 8, 2010, primary. His opponent is Carly Fiorina, best known as former CEO of Hewlett-Packard, the large electronics firm. Campbell lost to Bruce Herschensohn in the 1992 Republican primary, 38.2% vs. 35.8%. (Herschensohn subsequently lost to Barbara Boxer by 4.9 percentage points in the general election. In comparison, George H.W. Bush lost to Bill Clinton by 13.4 percentage points due to his limited effort to win California.) In 2000, Campbell won the Republican nomination but lost by 19 percentage points to Democrat Senator Dianne Feinstein. Perhaps his third run will be a charm. In 1992 Herschensohn ran on a fiscal platform of a flat tax and a balanced budget. 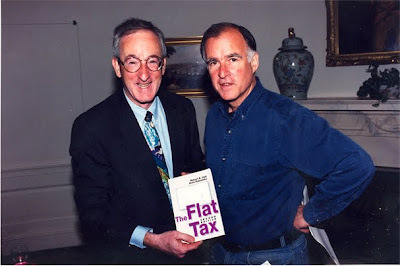 (Disclosure: I served as his advisor on the flat tax, which was modeled after the Hall-Rabushka flat tax.) 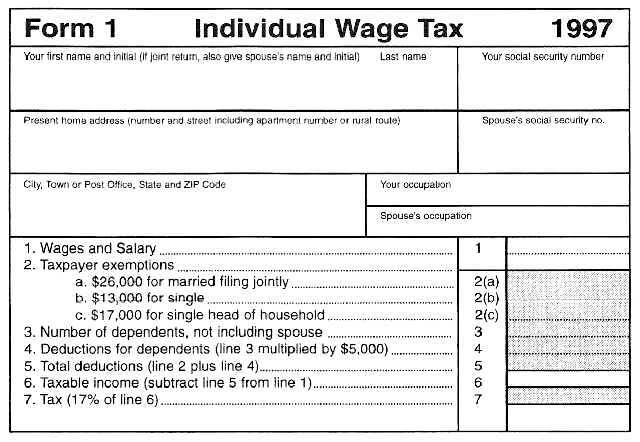 In exchange for eliminating such deductions as home mortgage interest and exemption for municipal bond interest, Herschensohn proposed a 20% flat tax with a large personal allowance to exempt low-income households from federal income tax. In retrospect, Campbell’s support of high housing prices, distorted by a large tax benefit, may have been a precursor to the housing bust of 2007-09.